The annual UNICEF report on children issued on June 28 identifies the widening gap between rich and poor countries when it comes to ensuring child survival. The biggest challenge, as the report claims, is to bring mortality rates among the poorest to the levels of the wealthiest within countries. It highlights the patterns of child mortality, disparities in access to quality health care and recommends ways to meet the 2030 goals to improve prospects for the survival and good health of all children in every society. Globally, the mortality rate for children between one month and five years is declining more rapidly than neonatal mortality rate—probability of dying during the first 28 days of life. In 2015, neonatal deaths accounted for 45 per cent of total deaths, which is 5 per cent more than in 2000. Of the 5.9 million under-five deaths in 2015, almost half were caused by infectious diseases and conditions like AIDS, diarrhoea, malaria, meningitis, measles, pneumonia and sepsis. Pneumonia and diarrhoea remain leading causes of death in South Asia and Africa. In 2015, child deaths were highly concentrated in few regions. About 80 per cent of these deaths occurred in South Asia and sub-Saharan Africa, and almost half occurred in just five countries: India, Pakistan, Nigeria, Ethiopia and the Democratic Republic of the Congo. Destruction of infrastructure and lack of personnel, equipment and medicines have hindered access to maternal and newborn health services. Access to land and credit decided child survival prospects. Marginalised groups living in informal settlements or urban slums are vulnerable to health threats because of overcrowding and lack of access to basic services. Climate change risks child survival. When drought conditions prevail and water becomes scarce, children in poorest families are most likely to resort to unsafe water sources. Prevalence of open defecation exposes children to health problems that can interfere with their normal growth and cause stunting. 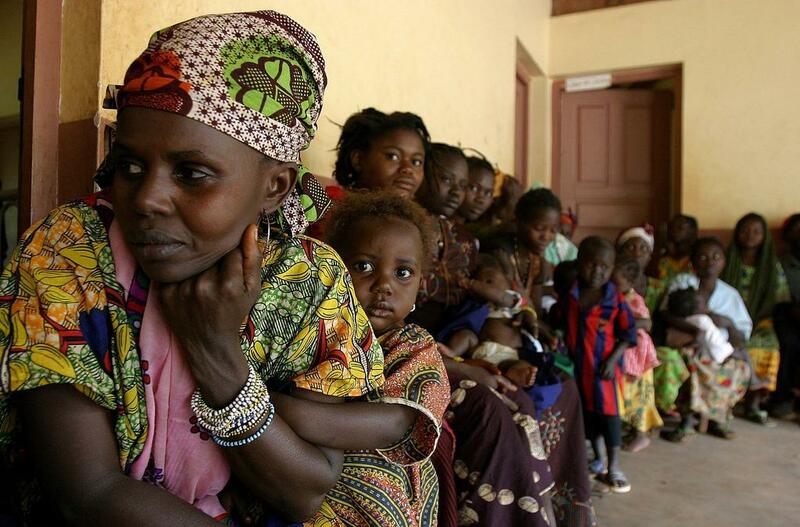 UN has set a high bar for progress on maternal, newborn and child survival and health. Among the targets to be met by 2030 is the aim to reduce neonatal mortality to as low as 12 deaths per 1,000 live births. It set a goal of reducing under-five mortality to at least 25 deaths per 1,000 live births in every country. Although world missed the Millennium Development Goals of reducing two-thirds of under-five mortality between 1990 and 2015, 24 low-income and lower-middle-income countries made extraordinary progress and went on to achieve it. In fact, some of these countries—such as Ethiopia, Liberia, Malawi, Mozambique and Niger—had very high mortality rates, in excess of 200 deaths per 1,000 live births. Despite prolonged conflict and economic hardships, Egypt and Yemen witnessed 72 per cent and 67 per cent decline in under-five mortality. China has experienced a considerable decline in under-five mortality – 80 per cent since 1990. The report observed that though child mortality tends to decline as average income increases, many poorer countries are surpassing richer neighbours in reducing under-five mortality rates. Some of the countries witnessing global economic growth, including India and Nigeria, have been slow in reducing child mortality. According to the UNICEF report, there’s a growing disparity in maternal, newborn and child health in high-mortality countries. In a country, children born into the poorest 20 per cent of households are twice as likely to die before the age of 5 as those born into the richest 20 per cent. The report recommends substantial improvements in nutrition to boost child survival rates as half of all deaths of children under age 5 are due to under-nutrition. An analysis of recent data on 87 countries shows that stunting rates among the poorest children are more than double of those among the richest. In West and Central Africa, there has been a less than a 25 per cent reduction in stunting between 1990 and 2014. Maternal education determines the chance of survival. In South Asia and sub-Saharan Africa, children with mothers having no education are almost three times as likely to die before age 5 as children of mothers with secondary education. If all mothers achieved secondary education, there would be 1.5 million fewer annual deaths of children under age 5 in sub-Saharan Africa and 1.3 million fewer in South Asia. The rural-urban divide also affects child survival as children born in rural areas are 1.7 times more likely to die before age 5 than children in urban areas. The report recommends antenatal care, skilled care at birth and essential newborn care to improve prospects for safe pregnancy and child survival. However, it also notes “extreme disparity” in access to care but also in the quality of care. Disparities in utilisation of antenatal care and skilled birth attendance, as the report pointed out, indicated social disparities in child survival. Globally, women from the richest 20 per cent of households are more than twice as likely to have a skilled attendant at birth as those from the poorest 20 per cent. A modest increase in antenatal care coverage since 2000 has done little to narrow disparities in the antenatal period. “Glaring disparities” in antenatal care and skilled birth attendance exist in South Asia and sub-Saharan Africa. In Bangladesh and Pakistan, women from the richest households are four and six times more likely to receive antenatal care (at least four visits) than those from the poorest. Some of the largest gaps in skilled birth attendance exist in Eastern and Southern Africa. Mothers and newborns in the poorest households are less likely to receive a post-natal check-up and are exposed to risks associated with undetected hypothermia and post-birth complications. According to the report, majority of child deaths in the neonatal period and after the first month could be prevented through “low-cost and easily deliverable interventions”. It is vitally important to increase coverage of interventions before, during and after pregnancy. 40 per cent of neonatal deaths could be averted with key interventions around the time of birth. Another 30 per cent of lives could be saved through “kangaroo mother” care with skin-to-skin contact from the time of birth. The benefits of breastfeeding are being emphasised in the report. It recommends longer-duration breastfeeding as it leads to protection against childhood infections. If breastfeeding can be scaled up globally, the lives of 823,000 children under age 5 can be saved annually in 75 low- and middle-income countries. Around 3.6 million children under age 5 will die in 2030 alone. A total of 69 million such deaths will have occurred between 2016 and 2030, with sub-Saharan Africa accounting for around half of these deaths. Five countries will account for more than half of the global burden of under-five deaths: India (17 per cent), Nigeria (15 per cent), Pakistan (8 per cent), the Democratic Republic of the Congo (7 per cent) and Angola (5 per cent). The global maternal mortality rate will be around 161 deaths per 100,000 live births. Pneumonia will remain the second biggest killer of children under age 5, only after preterm birth complications. The UNICEF report calls for putting the most vulnerable women and children at the centre of national policies aimed at reducing disparities in child survival and ensuring child and maternal well-being. It calls for fundamental changes in how child and maternal health services are financed and delivered. Preventing child and maternal deaths can be a huge investment, but this investment can yield high returns. Investment packages for 74 high-mortality countries would cost about US$30 billion in additional annual spending. This package would cover maternal and newborn health, child health, immunisation, nutrition, family planning, HIV/AIDS and malaria. This investment would avert an estimated 147 million child deaths, 32 million stillborn deaths and 5 million maternal deaths by 2035. According to the report, strategies to deliver universal and quality health care by 2030 needs to consider two related goals: expanding coverage and narrowing equity gaps. Coverage rates for the poorest 20 per cent of the population must increase fast to reach universal coverage. In the domain of child nutrition, the report highlights 10 proven interventions with the potential to prevent 900,000 under-five deaths in 34 high-burden countries. The interventions range from treatment of acute malnutrition to breastfeeding and zinc supplementation. The report also mentions that the additional annual cost of scaling up existing nutrition coverage to fulfil 90 per cent of the need in the 34 countries would be about $9.6 billion. By 2035, the world will need an additional 12.9 million health workers. Even today, sub-Saharan Africa has a health worker deficit of 1.8 million. The figure will rise to 4.3 million over the next 20 years if a concerted effort is not given. In the end, the report calls for stepping up multilateral partnerships to broaden and deepen cooperation to “achieve universal health coverage and equitable, quality care for children and their mothers”. The State of World’s Children report of 2016 paints a disappointing picture of the state of children’s education in the world saying that the number of children who do not attend school has increased since 2011. In most countries, less than half of children attend early childhood education programmes, claims the annual report. About 124 million children and adolescents are denied opportunities to enter and complete school—around 59 million children of primary school age and 65 million of lower secondary school age—according to figures from 2013. The report also highlights regional disparities in numbers. It says that more than half of the primary-school-aged children who are not in school live in sub-Saharan Africa. In addition, gender gap in enrolment numbers is a persisting problem. Are enrolment numbers translating into skill development? Various studies reflect that in spite of attending school, children are unable to retain skills. Worldwide, nearly 250 million children of the total 650 million of primary school age do not master basic literacy and numeracy, according to estimates. Some 130 million children lack these skills even after spending at least four years in school. Evidence shows poverty may have a role to play in these learning outcomes. Children from poor households are more likely than their more affluent peers to present developmental delays in literacy and numeracy, claims the WHO report. In India, the penance of being born in a poorer family widens between ages 7 and 11, reaching a 19 per cent gap in students’ ability to subtract. The most economically advantaged children in the country are about six times more likely to learn basic reading and mathematics skills than girls from the poorest households whose parents were not educated. In India’s rural schools, a 2014 study showed that just under half of children in fifth grade were able to read a basic second-grade text. In arithmetic, half of fifth graders could not subtract two-digit numbers, and only about one quarter could do basic division. Climate change poses danger to education, adding to the intensifying the risks associated with drought and floods. Climate-related disasters threaten children’s lives and disrupt their education, creating conditions that leave them at increased risk of abuse, neglect, trafficking and child labour, says the report. It gives the example of the Pacific region, where many schools in small island states are unavoidably located near coastal areas. Throughout the region, climate change and weather-related emergencies have hindered efforts to provide children with good-quality learning opportunities, the report claims. War and conflict affect people from all demographics but poor and disadvantaged children are the most vulnerable in these scenarios, says the report. Around 51 per cent of all refugees were children in 2015. An estimated 75 million children aged 3 to 18 are in need of education, according to a recent report. Of these children, 17 million are refugees, internally displaced or part of another population of concern. Notably, girls in conflict-affected contexts are 2.5 times more likely to be out of school than girls in more peaceful settings. The UNICEF report suggests that governments across the world need to set equity targets to make sure that all children have equal opportunity. It also asks governments to closely monitor disparities in school participation and respond with adequate policy. The report suggests and an interim target of halving disparities associated with wealth, gender, ethnicity and location in access to early childhood, primary and lower secondary education by 2022. The amount of money available in a household plays a crucial role in determining the quality of life and opportunities that a child will have access to in life, says the UNICEF report. That is why, it recommends that reducing child poverty is key to addressing inequity and achieving UN sustainable development goals related to the health and education of children. Children make up nearly half or 46 per cent of the population living on less than US $1.90 per day—the international poverty line set by the World Bank. The situation is particularly worrying in Africa. At current trends, nine out of 10 children living in extreme poverty will live in sub-Saharan Africa in 2030, states the report. Children from families that are above the international poverty line still suffer from deprivation, explains the report. In 2012, more than 2 billion people in low- and middle-income countries lived on less than US$3.10 a day, which is considered “moderate” poverty. The report also considers relative poverty in which children in affluent countries are deprived of education and health opportunities as compared to their peers. It makes a case for considering multidimensional poverty which includes those who may not be poor according to their countries’ respective poverty lines but are deprived of one or more essentials. According to studies based on the Multidimensional Poverty Index, 247 million out of a total of 368 million children under age 18 in 30 countries in sub-Saharan Africa experience two to five deprivations that threaten their survival and development. A study in 2008–2009 found that 81 million children and adolescents in countries in Latin America and the Caribbean were affected by at least one moderate or severe deprivation of their rights to education, nutrition, housing, sanitation, drinking water or access to information. Conflicts, impacts of climate change and natural disasters create new vulnerabilities and risks for children. Urbanisation is another factor that must be taken into account, with children in urban areas lacking access to essential services even when they live close to them. For example, a 2006 study in sub-Saharan Africa showed greater disparities in child nutrition between rich and poor urban communities than between urban and rural areas. The UNICEF report recommends cash transfers as a way of dealing with the problem of children living in poverty. As a “safety net” for families, cash transfers can help families fulfill basic needs, leading to improved nutrition, health and school attendance. It gives the example of Brazil where Bolsa Familia, one of the largest cash transfer programmes in the world, was paired with a social pension and disability grant. Together, these initiatives contributed to more than one quarter of the country’s 2.7 per cent fall in inequality as measured by the Gini index between 1995 and 2004. The report states that cash transfers increase the demand for education, seen in higher school enrolments and attendance. Cash transfers can play a role in alleviating some of the financial pressures that force children into work or child marriage. It also recommends expanding social protection to achieving the UN sustainable development goals. Why a country with one of world’s best education systems wants reforms now?